You are here: Home / Blog / visual spatial / Directionality Worksheet – Which Way is the Animal Facing? 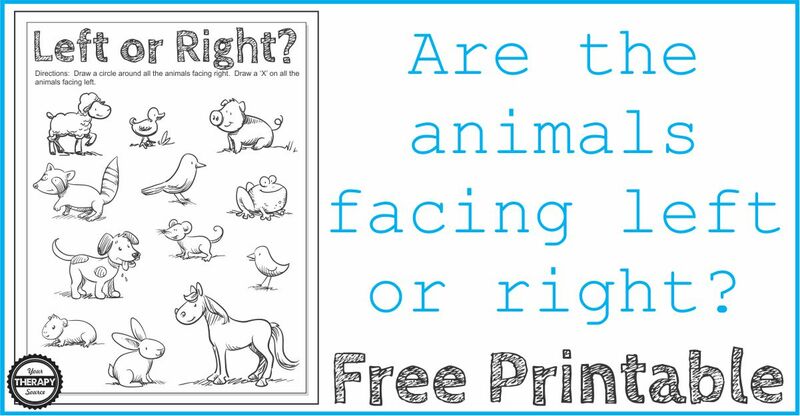 Directionality Worksheet – Which Way is the Animal Facing? Learning the concepts of left versus right can be very challenging for a child. Even as an adult, many of us second guess ourselves when asked which way is right or left. This skill is extremely important since many functional activities such as reading, counting, and map skills rely on left to right directionality. This free directionality worksheet is from the Left or Right packet. You need to draw a circle around all the animals facing right. Draw an ‘X’ on all the animals facing left. To extend this activity, try having the children face in the same direction as the animal. 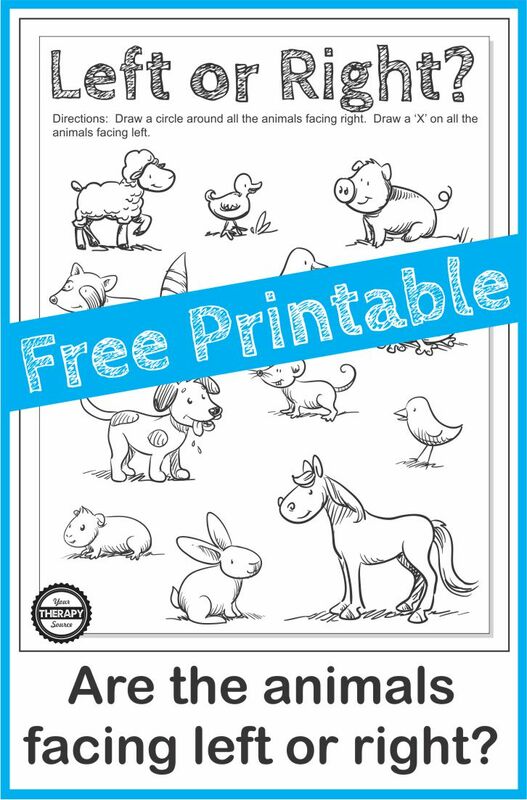 Move through the worksheet calling out random animal names. The child has to say what direction the animal is facing and then repeat that action with his/her own body. For example, if you say horse, the child has to say “the horse is facing left” and move his/her body to face left. 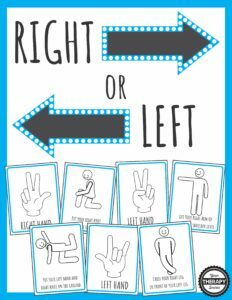 If you need more whole body activities to learn the concepts of directionality and left/right check out Right or Left Games. This digital packet helps children to practice right and left discrimination, bilateral coordination, fine motor skills, balance skills, body awareness, motor planning and visual-spatial skills. This activity is from the Left or Right worksheet packet. 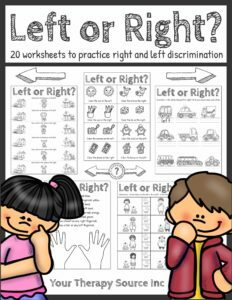 Left or Right Worksheets digital download includes 20 black and white worksheets to help learn the concepts of left and right. Directions include writing from left to right, coloring objects on the left or right, circle the correct direction, handwriting activities and more. Encourage visual-spatial skills.